While there are a variety of electronic dental system applications on the market, most are not targeted to community health center dental programs. 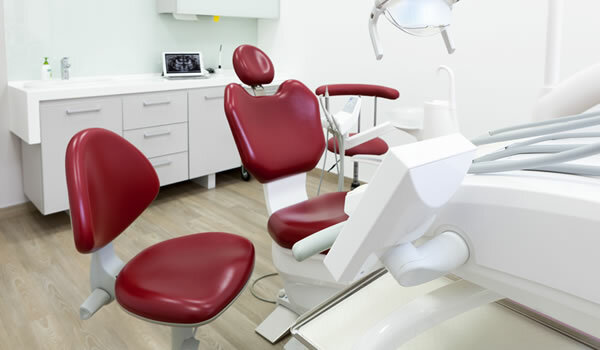 There are some fundamental and important differences between the community health center dental program (and other safety net dental programs) and the private practice environment for which most of these applications have been created. For example, many dental-systems-technology vendors have little interest in adopting HL7 interface standards or focusing on system integration, which are vitally important issues for community health center dental programs. Also, community health center dental programs and other safety net dental programs have special reporting requirements that private practices typically don’t have, and they need systems technology applications that are specifically designed to collect relevant data and easily generate appropriate reports. Dental technology can be an enormous benefit to the community health center dental practice. But the wrong dental technology, or the right dental technology incorrectly or incompletely implemented, will only create more headaches for your clinic. The perils and pitfalls of dental technology can be avoided if you know how to thoroughly assess your own internal environment, understand and clearly define what you want the dental systems technology to accomplish, and ask the questions that will cut through sales hype and enable you to evaluate a potential product on its true merits. Following are important considerations for determining if you should use electronic dental records, and, if you should, what to consider when selecting an application. The implementation process for dental technology, like any new and complex technology, is time-consuming and technically demanding. You must have the information technology staff and know-how to manage the project. You must take the time to think through all of the considerations that must be made before selection and implementation of the proposed dental technology. Among oral health professionals and support staff, there is likely to be tremendous variation in levels of comfort with new technology. You must properly budget for the time and money required, not only to implement this technology, but to ensure your staff is trained and comfortable using it. Patient Registration. If integrated with your medical system, you will share the same patient demographics and eliminate duplication. Patient Scheduling. If integrated with your medical practice management system, you will have a central scheduling system that is transparent to whatever application is being used. Please consider that dental scheduling is an art, as dentistry is procedural in nature, while medicine is diagnostic in nature, and appointment scheduling for dentistry is different and must be mastered as a separate skill. Central Billing. If integrated, you will eliminate having different systems to bill from and needing to run separate financial and productivity reports. Designing a facility to safely support information system technology is necessary to ensure safe and continuous operation of a program's information system. Controlling access to the physical hardware systems and data. The facility design should include a secure location, preferably lockable, for any centralized information system server and network access. This might be as elaborate as a separate room with specific design features for electrical wiring, network cabling, heating, air conditioning, and fire protection for protection from power surges and unexpected loss of power, water, inappropriately high or low temperatures, and unauthorized physical access to the system. Or it might be as simple as a locked equipment cabinet in a non-public area of the facility. Installation of information system cabling in a facility should consider future needs. Electrical power. A dedicated circuit within the building is recommended for the main application server system and networking equipment. An uninterruptible power supply (battery back-up) is recommended for all systems with critical patient and management data. Electrical surge suppressor protective devices are recommended for all systems and peripheral equipment, including telephone lines connected to modems. Network cabling. Design the network cabling to be flexible and expandable. The cable quality and type selected determines the data transfer rates of the network. Select the highest grade of cable available. Information system equipment environmental needs. Environmental factors are important for any electronic hardware, but particular attention should be given to locating systems that will store critical information. These include temperature regulation and protection from fire, water, and other elements that could cause damage. Make sure the dental department is well organized before you implement the electronic-dental-systems application. If you have a disorganized dental department before you computerize, after you computerize, you will have a computerized, disorganized dental department. Decide whether dental will continue to be part of the overall central patient registration and scheduling system of the community health center, or if dental will schedule and register its own patients. This can be critical to overall operations. Decide whether dental will do its own billing out of the new electronic system or continue to be part of the central billing operation of the community health center. Assess your current environment, which includes both dental operations and your information technology infrastructure. Prepare to either update or create new policies and procedures to accommodate the new electronic environment of care that will exist in dental. Be aware of the learning curve—the most expensive part of any electronic dental system you are looking into is the time it takes your staff to be trained and get up to speed in using the new technology. In addition to the cost of the actual electronic dental system software, don’t forget to identify and factor in the cost of the other elements and work needed to implement the software. Don’t buy the latest or newest of anything. Most computers and high-tech systems have bugs and glitches. If you are the first to purchase and use this product, you will also be the first to de-bug it. Don’t believe promises that salespeople may make about the next generation of their electronic dental systems product (also known as “vaporware”). All too often, new applications, functionality, or upgrades that are on the horizon never appear. If you cannot see it, touch it, or watch it operate, for all intents and purposes, it doesn’t exist.